I woke up this morning with a slight cold feeling like “I really don’t want to go to this football game”. As the day progressed I felt a little better and I got to meet my mate, who I haven’t seen in a while, which was nice and we went to the football together. Then, at half-time I suddenly panicked, as I realise I was supposed to be writing the report for this game and I had witnessed some of the more half arsed attempts at football I had seen for a couple of years, over the last 45 minutes or so. I’m trying to remember if anything significant happened in the first half and apart from several of the idiots in around me, I never could see which ones, shouting manically “FORWARD” every time we made a back pass and some bloke that swore at the Saints directors from right next to me and was ejected from the ground, I can’t think of anything. Saints looked punch-drunk, tired and relatively unfocused. J Rod was running around for all he was worth, but nobody gave him the ball where he could do anything with it. Tadić should never have started the game, within 30 seconds of the kick-off, he was readjusting his mask and looking like he was going to fall over if anybody looked at him funny. Luckily, the 2nd half happened. Tadić was replaced by Redmond and Saints came out looking like they actually might be a football team, instead of a load of knackered, disinterested, demotivated and highly paid individuals. Next, shortly after the kick-off, somebody pulled off a belter of a goal which didn’t look like it was going to come from anywhere else other than a “something special” that somebody pulled out of the hat. Sofiane Boufal who, up to that point, had made Fabrice Fernandes seem like the most direct footballer anyone had ever seen, smacked it into the left-hand corner of the goal straight past a stranded Valdes. Well, I suppose that’s not entirely fair, Sophie had been quite direct, he’d been quite directly running into people after taking a touch too many, trying to beat one man too many or just not passing it to a teammate when he should have. The crowd, who up to that point had been out-sung by the 12 smoggie’s and a dog that turned up to support Middlesbrough, suddenly rationalised that Thursday had been but a bad dream and started supporting the team. We had a couple more chances after that, at some point I believe somebody cleared something of the line from Nathan Redmond that I really thought was a goal, but other than that, we didn’t really look like scoring another. It was comfortable for us though, there was no real panic and we deserved to win it even if it was only by the one goal. Forster: did what he needed to and even came to the ball once or twice, and nicely narrowed the angle when JWP did a lovely pass (his best of the game) and put them through on goal. Honestly didn’t really have a lot to do apart from that. Cuco: seem to be our entire threat going forward on the right in the first half, when I say threat, I mean “the person we gave the ball to”, there wasn’t anything threatening about it… In the 2nd half he was better and put in a couple of lovely crosses which unfortunately nobody could complete. Fonte: quite a good performance from him, he is still being professional even while negotiating his exit, I don’t think we can ask anything more. Van Dijk: looked great and also nearly made a complete hash of something (but have enough to get himself out of it). Doesn’t look right though, when he came off at the end he looked bloody grumpy and took his shirt off long before he ever got to the edge of the pitch. Maybe I’m just overanalysing it? McQueen: I thought he had a very good game actually, only looked slightly flustered when they put on that speeder right at the end against him but even then he did okay, very professional young man and I’m surprised we didn’t use him for more attacking than we did. Clasie: patchy but combative, actually I thought he wasn’t too bad but sometimes he just looked to be playing where Romeo is playing, that was a bit clumsy other than that, he did okay without being world shattering or anything. Alpha: he was as good as our football allowed him to be today, but I think I can see he is really starting to burn out, he’s always been prone to the occasional mad lunge but today he looked really tired and did a couple of silly ones, clawed needs to find an alternative to give him a rest. JWP: just when I was warming to him he chucks in a performance like that, there was a lot of energy, I’ll give him that, he was trying to close down etc but he was largely ineffectual (in my eyes), thank heavens for the running. Boufal: he’s obviously one of those players, it’s got to be spectacular or he’s someone you’ve just got to carry through major parts of the game. Cracking goal but his all-round game was not great and too often he made the wrong choice. He is capable of being a game changer, evidenced by the fact he changed our game today, no-one else was going to score that goal, but he just needs to get better in his head not with the football. J Rod: I bet you thought I was going to slate him, I’m not, he did what he could with what he was given, that’s not to say somebody sharper couldn’t have converted one of the half chances that came his way but it does recognise that he played a whole 90 minutes and that’s progress. Let’s see him score some of those cracking goals now, he needs to just fecking hit it and stop worrying about it and really see if he’s got it in him to come back from all the bad luck he’s had over the last couple of years. Long: another one that made a difference when he came on, looked much sharper as well and was trying to run onto through balls, which is something we haven’t been doing for a while very successfully, he nearly got it a couple of times today and another one that made their defence very nervous for the last 10 minutes. Middlesbrough were fecking dreadful, how they ever got promoted is beyond me and they have apparently beaten Premier league teams this year, we were terrible and they still made us look good, no idea how they will stay up looking like that? However, that doesn’t matter, that’s them, this conclusion should deal with us. We were lucky we had someone who could pull off that kind of shot, and yet not lucky at all that we won the game. 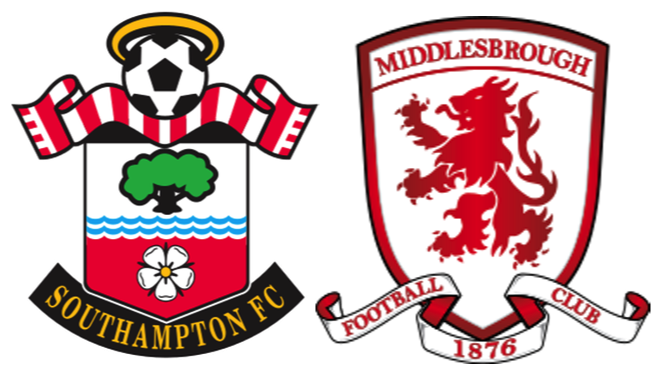 Middlesbrough were ineffectual and toothless and, whilst we ran them close in the first half in those stakes, there was no way we should have shared any points in that game and it’s thanks to Sophie beautiful that we didn’t, it was a valuable win and I hope that will give them confidence.